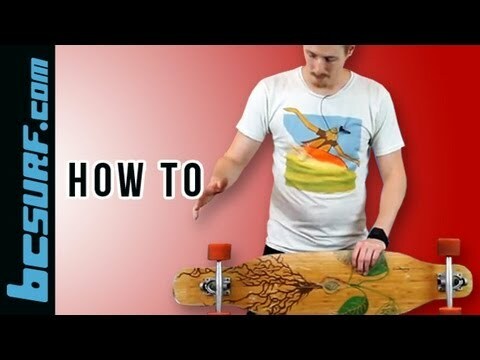 In order to get the most out of your longboard, it is recommended that you follow some basic steps in order to maintain it. • After removing the trucks, use a nylon brush and soapy water to clean the deck. Brush in tight circles over the grip tape side. • Using a sponge, rinse off the deck with clean water to remove the soap. Look over the board’s surface, and repeat this process if necessary. • Flip the deck over. Using a sponge and clean water, gently wipe down the underside of the board. Give special attention to the area where the trucks were located. • Dry off the underside with a towel, and allow the deck to dry for 3 to 4 hours. Reattach the trucks to the deck. • Remove the bearings, and check them for debris. • Prior to clean the bearings, carefully remove the rubber shield with a small pen. Do not force anything since this could lead to bearing damage. • Soak bearings in kerosene or mineral spirits. Gently move the solution around in order to guarantee the entire surface of the bearings are clean. • Using a 99 percent isopropyl alcohol, rinse off the bearings. • Use compressed air to quickly dry bearings. • Following the manufacturer’s instructions, use a lubricant to lubricate your bearings. • Replace the rubber shield. • Insert bearings into wheels. Stay away from puddles, rain or sand. Water and rain will damage bearings and will reduce your longboard’s performance. Depending on their offset, longboard wheels will wear down more quickly on one side than the other. It is recommended that the wheels be rotated every few weeks in order to help them wear evenly. When wheels begin to show signs of major wear and tear, it is a good idea to replace them entirely. Longboards are designed to last for many years. The amount of time that a rider will be able to use their board will depend on the maintenance and care that they give it.